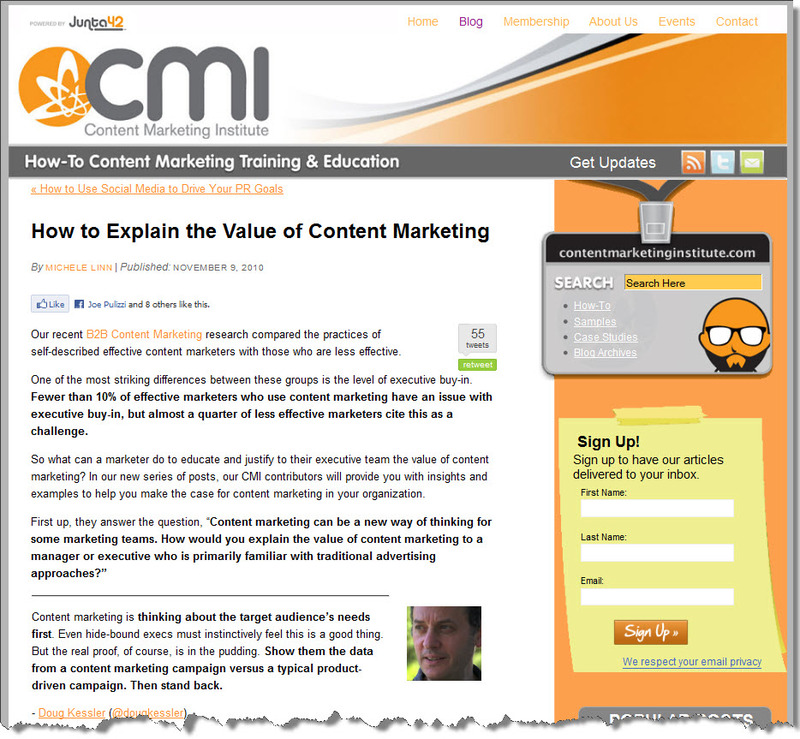 Simple Marketing Blog: The Value of Content Marketing: How Do You Explain It? 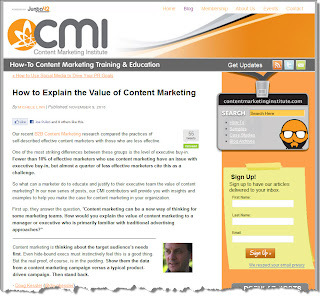 The Value of Content Marketing: How Do You Explain It? We've started a new Content Marketing Institute series and the first question has to do with How to Explain the Value of Content Marketing. I absolutely love the focus on customers that each response highlights! Have you noticed how many of the traditional advertising methods you’ve relied on for connecting with customers aren’t as effective as they used to be? I have and that’s why I consider content marketing critical. 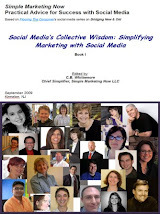 Content marketing works beautifully with established traditional marketing tools. Even better, though, is that it adds relevance, meaning and dimension to traditional approaches so you engage with potential customers. Content marketing helps your overall marketing work harder for you. More specifically, content marketing allows you to tell potential customers what you are about; it pre-qualifies customers. Imagine sharing in customer-relevant terms the story behind how you help customers. Imagine building trust and meaningful relationships with them before asking for the sale, before they realize they need you. The result is a richer, deeper and more satisfying business relationship. Isn’t that worth bringing into your organization? This post– Digital Visibility: The Reason Behind Content Marketing — adds perspective to this question. What is your take on the question? How would you explain the value of content marketing? I'd love to hear. I would add that content is a big part of inbound marketing and helping businesses "get found" through organic search and targeted PPC ads that match up with landing pages on the company's website. Britt, excellent point! I love that content marketing works best when it integrates with all of the other elements - including landing pages!